The number of people getting affected by myopia (nearsighted) and other visual related issues has been increasing steadily over the recent past. These people include young children who experience various issues related to their eyes. Statistics from the World Health Organization show that currently 22.9% of the world population and 33.1% of the US population is affected by myopia. While the numbers are rising, scientists are unable to explain the exact cause of the increase in this condition. The main factor that has been attributed to the eye health problems is lifestyle change. As a way of dealing with myopia the number of treatments has also been increasing as professionals try to come up with a permanent solution. One of the nearsighted solutions that are becoming more popular is an option known as orthokeratology (OrthoK). This particular treatment involves contact lenses which are specially designed to be worn at night. This means that the patient needs to wear these special contact lenses when going to bed. The lenses work by applying force to a part of the eye that usually controls focusing. These contact lenses flatten the curvature of the cornea therefore affecting light passes through the eye. OrthoK has over time become increasing popular amongst parents who would like to slow down decline of vision amongst children. The main reason why it is becoming so popular is that despite that it has been in existence since 1960s many people did not know about it. In fact, most parents used traditional methods which are considered to be safer. Some of the other methods are very inconveniencing especially while being used on children. As a result, the parents are opting that their children use OrthoK instead of most of the other treatment options. Some of the primary qualities of Orthok include that the special lenses are made in a way that they are safe to be used overnight. This is unlike the conventional contact lenses which can be harmful if they stay on the eyes for long periods. These special contact lenses are made using materials which allow the eyes to remain moist and also allow air to pass. This allows them to remain on the eyes without necessarily causing the issues that can be cause by over use of the traditional contact lenses. After wearing these contact lenses for a night one can remain without wearing them for the rest of the day. However, this varies depending on the patients since there are some who might still need the lenses during the daytime to maintain good vision. 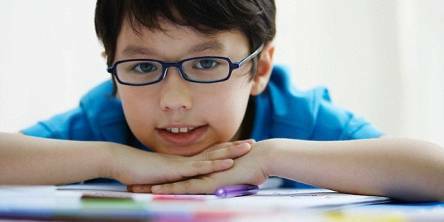 Many parents prefer using of OrthoK because the children only wear the contact lenses while at home. This gives the parents an opportunity to supervise their children. The fact that the lenses are removed in the morning means that the children have to remove them prior to going to school or outside to play. Because of this the safety of the children is significantly enhanced. Even though OrthoK is becoming increasing popular there are a number of risks that come with its use. Some of the risks include that the special lenses can cause infections but not as much as the ordinary contact lenses. However, these special lenses have few chances of causing infections compared to the ordinary lenses. Furthermore, these special lenses work by slowing down the progression of nearsightedness and temporarily improving vision. As a result, they are mainly used by people experiencing nearsightedness and not people who do not have sight at all. These lenses have also not been approved by the relevant official health bodies since tests are still being done to make sure they are completely safe.